Americans are still trying to make sense of the horrific tragedy in Las Vegas. 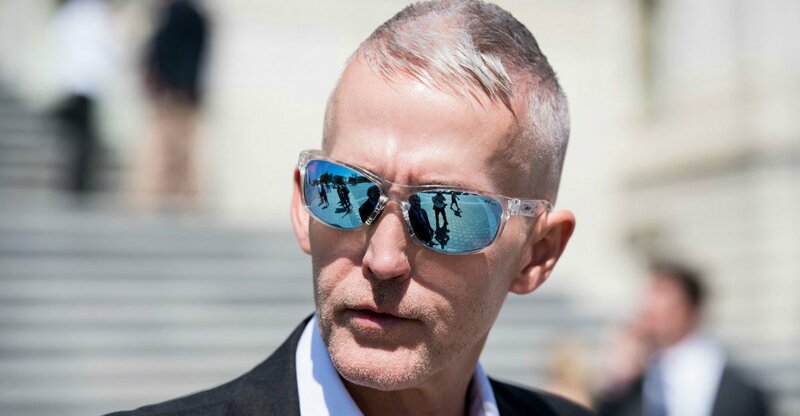 Trey Gowdy recently gave an interview on the tragic events. And he dropped a disturbing bombshell about the case. Gowdy was interviewed on Martha MacCallum’s Fox News program where he offered his observations on the shooting. The South Carolina Congressman remarked that it didn’t make sense that one person could carry out this massacre and not set off any alarm bells with their conduct leading up to the tragedy. “Monday on Fox News Channel’s “The Story,” Rep. Trey Gowdy (R-SC) offered his thoughts on the investigation of the Las Vegas mass shooting a night earlier that left at least 59 dead and 527 injured. Gowdy told host Martha MacCallum he was skeptical that Stephen Paddock, the individual thought to be responsible for the shooting, could have acted without at least one person identifying his behavior as suspicious. The South Carolina Republican predicted in coming days he will be proved correct. Paddock checked into his room on the 32nd floor of the Mandalay Bay days before he carried out his murderous rampage. He smuggled 23 guns into the hotel – police seized an additional 19 at his house along with 900 rounds of ammunition – and did not attract any special attention. A total of 42 guns were found in the suspected Las Vegas shooter’s hotel room and house, police said Monday night. “Las Vegas Police Department Assistant Sheriff Todd R. Fasulo said that 23 guns were found in the Mandalay Bay Hotel and Casino room where suspected shooter Stephen Paddock fired into a crowd, and 19 were discovered out of his Mesquite, Nevada home. Multiple loaded high-capacity magazines were found in the hotel room, law enforcement sources said earlier on Monday. Among the guns and ammunition police found the in the room being used by Paddock were some high-powered rifles considered capable of penetrating police armor. There were also some handguns in the room. Paddock also may have been planning to carry out this massacre a week earlier. The previous week, he had rented multiple condos that would have provided a firing angle over the Life is Beautiful music festival that had been headlined by Chance the Rapper and Lorde. But for some unknown reason, Paddock delayed his horrific acts for one week. “The gunman who murdered at least 59 people at a country-music concert on Sunday might have originally targeted another Las Vegas music festival held the previous weekend, according to a senior law enforcement source.